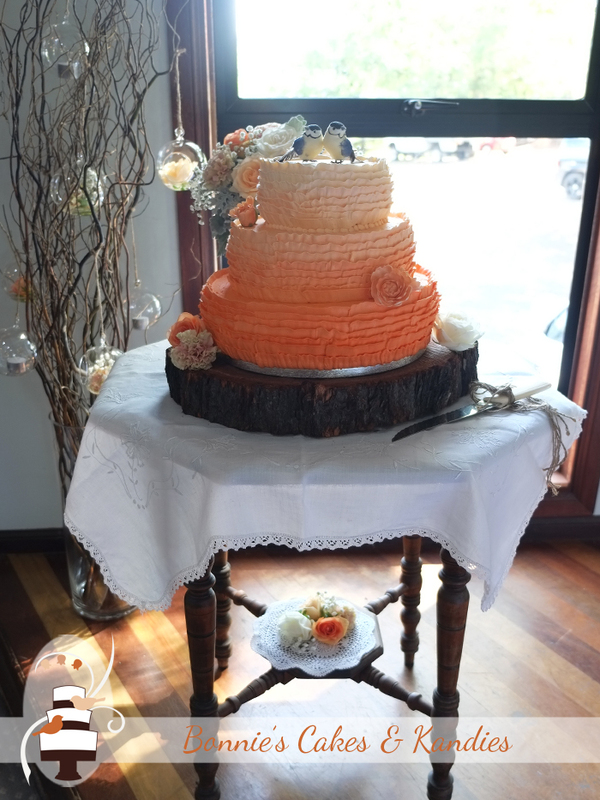 Mel and Tristan were married in Gympie earlier this year. 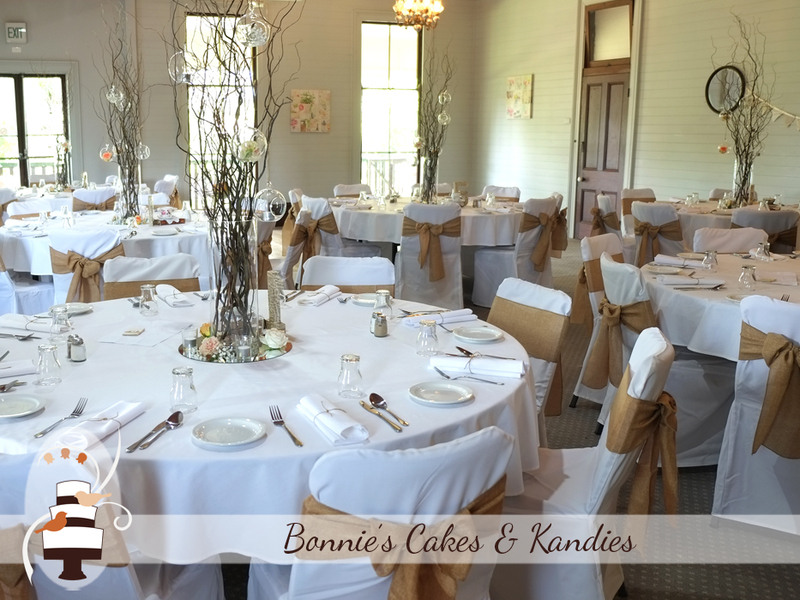 Their reception was held at popular local wedding venue, Gunabul Homestead. 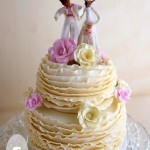 The weather was perfect for their mid-week wedding, and I was delighted to make their three tier wedding cake! The happy couple chose three amazing flavours for their cake: Belgian apple teacake, peppermint crisp mud cake, and cookies & cream mud cake. 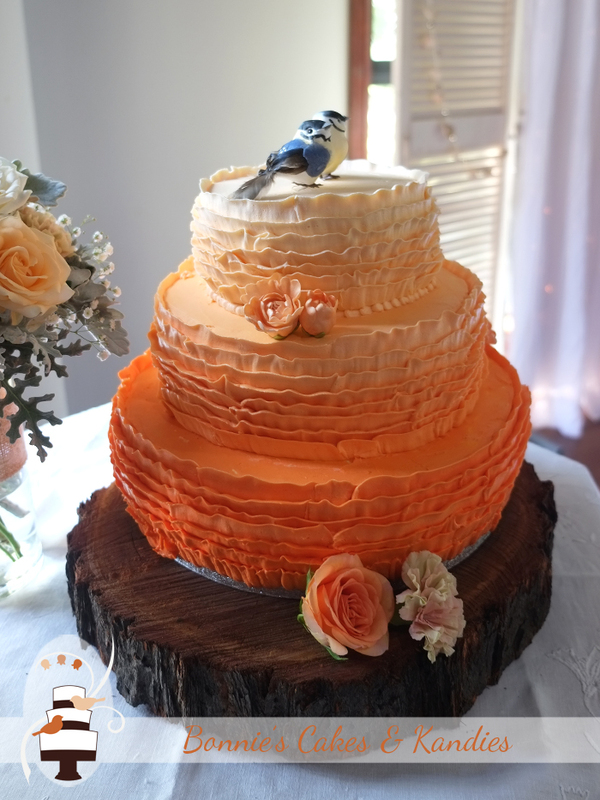 I covered the cake in buttercream ruffles with an ombre apricot colouring. 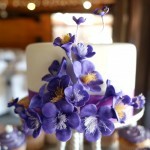 Icing flowers, fabric flowers, and two sweet little birds added the final touch to the decorations on the cake. 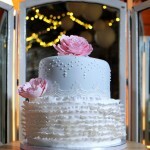 I received a lovely email from Mel after their wedding to let me know how much the cake was enjoyed. Thank you Mel & Tristan! 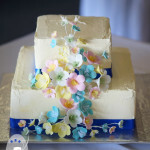 It was a joy to create your wedding cake!